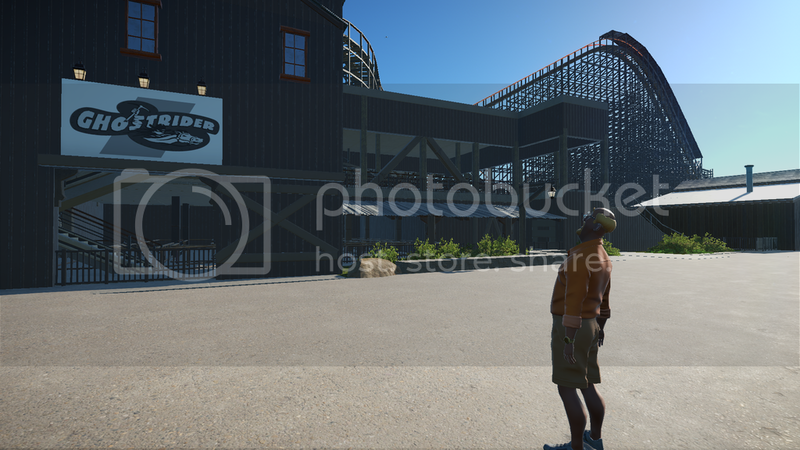 I have started making a full size recreation of knott's berry farm , located in buena park ca .I've been working on this build for probably 2 month now, and its coming out so good.im using google maps and youtube videos for reference and the good thing about this build is the park is not that big so when i finish it wont have a horrible fps .if you wanna follow this build you watch my time lapses on my youtube channel. here's a link to my latest ep into the series , please subscribe to the channel if you want to see this amazing park come to life! Looking incredible! Ghost Rider looks realistic and a very accurate representation of the real attraction. I cannot wait to see more of this recreation! I love Knott's Berry Farm. So glad to see someone giving it the recognition it deserves. I look forward to seeing this project grow. Please post some more screenshots, as I rarely have time to watch lengthy videos. Those pics look spot on. 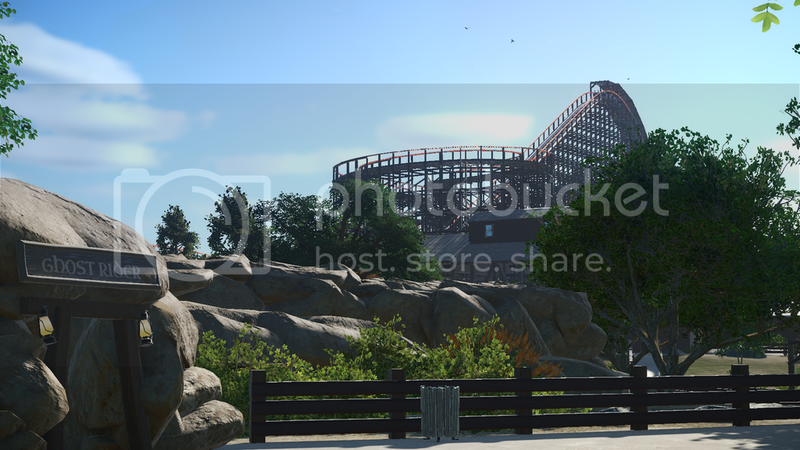 You've even captured how the Silver Bullet Coaster ruins the rustic entrance to the park. I believe I saw this on Facebook and I guessed it was you! This is getting better and better each update. 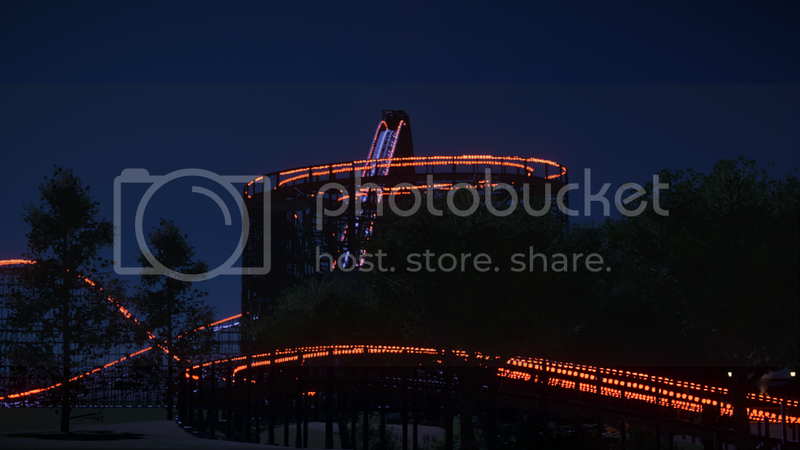 I love the main entrance photo with Silver Bullet in the background. 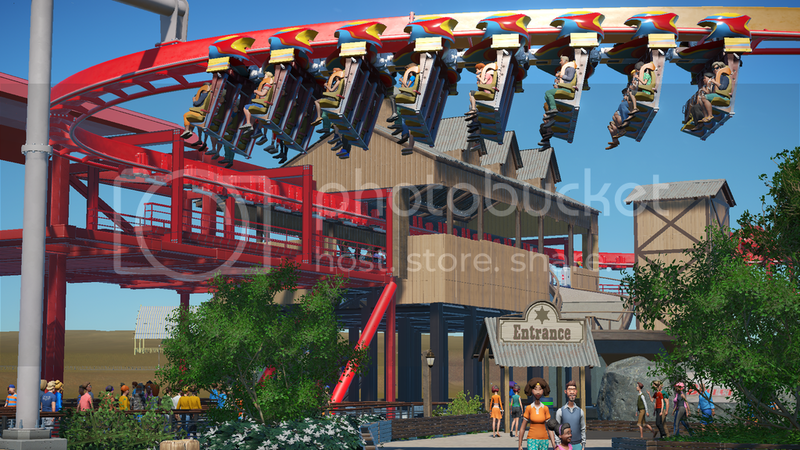 I really want to visit the real Knott's Berry Farm sometime because everything looks amazing. Good work so far and definitely keep hitting those high standards because this is just wow! Beautiful work. Brings me back to my college days at Cal State Fullerton when I would ditch class to go ride Ghost rider over and over and over again. Great stuff keep at it and I cant wait to see it all come together. I like that you are putting time and effort into making sure each coaster matches its real world counter part, something oftenly done sloppy in others. The entrance shot looks spot on. 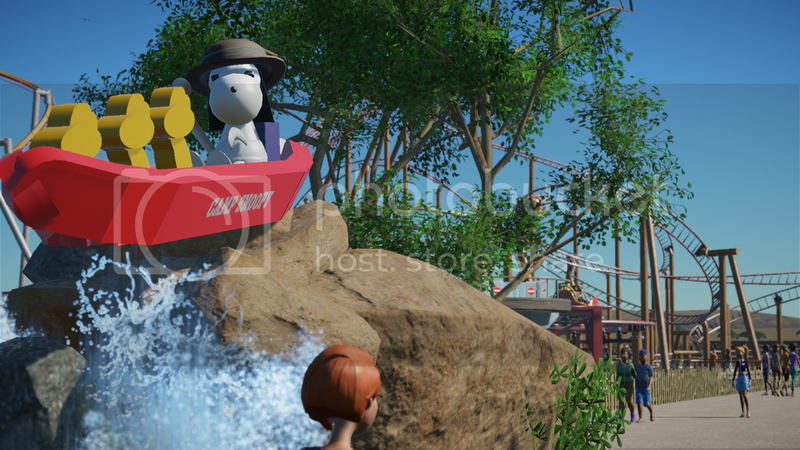 I am looking forward to the release of this park as I have always enjoyed going to Knott's Berry Farm. Coasters are great but dark rides are fun too. I stumbled upon this series on YouTube a couple weeks ago and I was immediately enthralled. 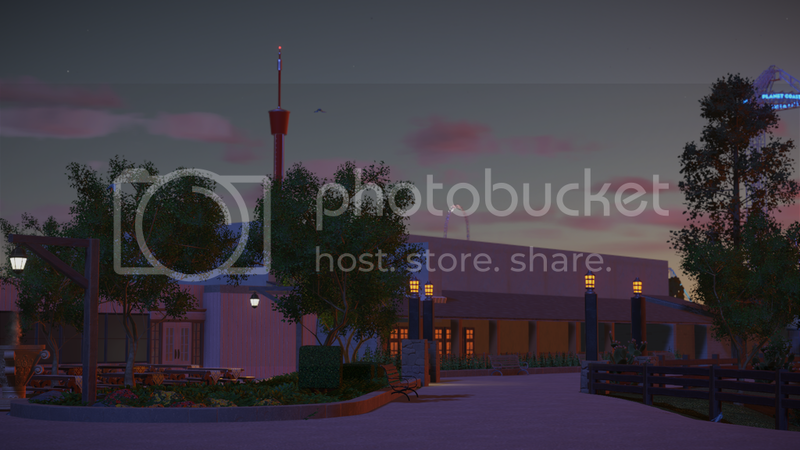 Aside from Disneyland, Knott's is my home park, and your build brought back some great memories. Keep up the amazing work, I cannot wait to see more! See that dude gets it! He is impressed with your work too! JUST STARTED WORKING ON SILVER BULLET ! 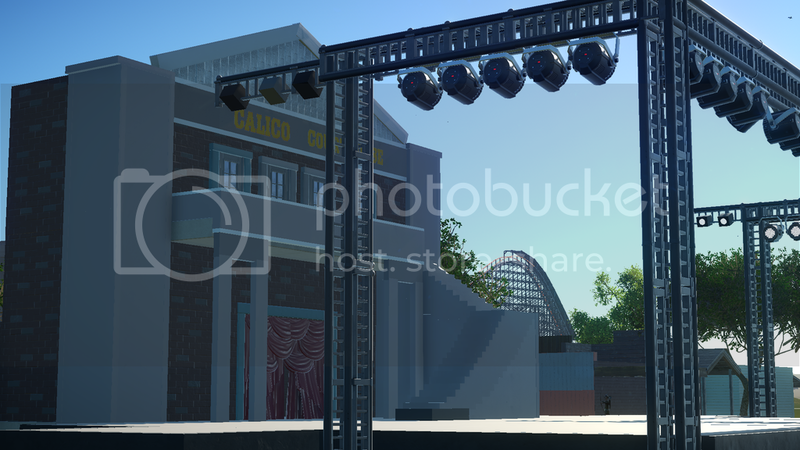 hey guys welcome back to the knotts berry farm recreation series ,in this episode i'm working on the indian trails area and this pink building which i'm not sure exactly what its used for ,some one can tell me in the comment section what it is.in the next video i finally get to building silver bullet which took me about 13 hours maybe more ,see you guys in the next video ,and if you haven't already subscribed go ahead and click the subscribe button, to not miss out on any of the videos ! 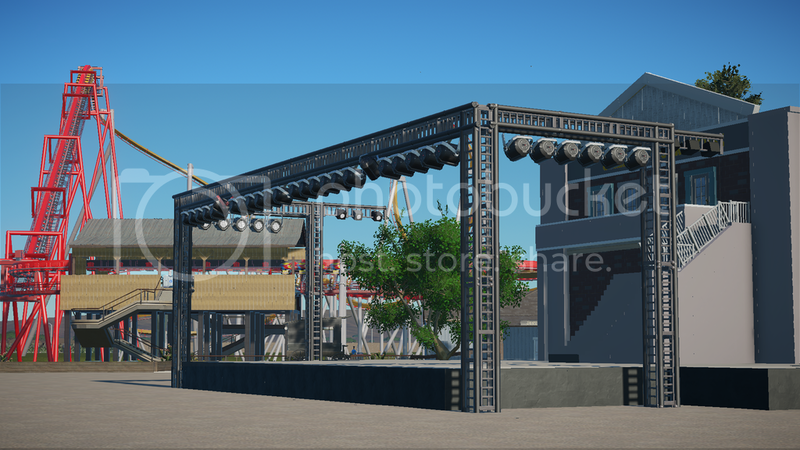 I like the stage and that brings numerous opportunities for entertainment. Even though this is a recreation, definitely hide some of your personal elements to help give it not only originality, but also a personal touch to it. Each update brings a pleasant feeling and I cannot wait for more! Brothalee, my brotha, you are building my all-time favorite park and are doing it justice. Thank you! I've been there more times than any other park because for several months I lived in a motel about 1 block away (this was back in the mid-60s) so my mother took me there every day. Haven't been there since the mid-80s, though, so I'm amazed at how it's developed since. Tell me, do they still have the perimeter train being robbed by live actors boarding it from horseback and shooting it out with the Pinkerton actors in the cars? That scared the bejeezus out of me the 1st time that happened (I was about 3 years old) but after that I thought it was quite cool and just played along . Haven't been there since the mid-80s, though, so I'm amazed at how it's developed since. Cedar Fair bought Knott's Berry Farm, which has been a mixed blessing. 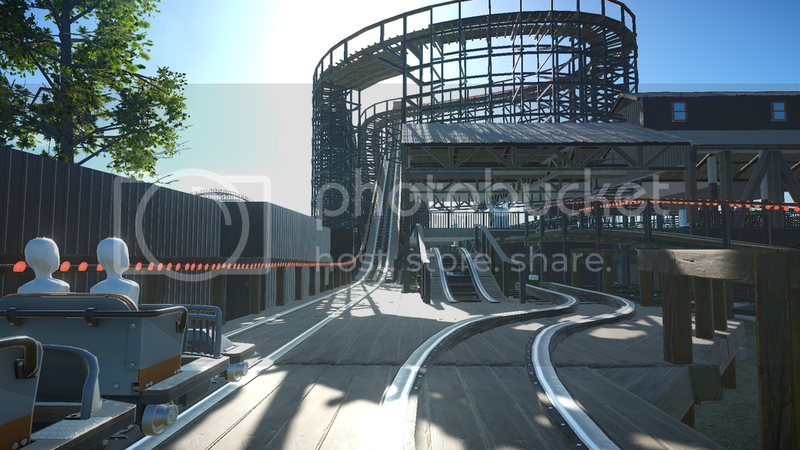 First, they ruined some areas by adding coasters all over the place. Some good coasters... some, not so much. But lately, they've been doing some nice things with the park, including refurbishing many parts of the Ghost Town, bringing it back to its former glory. And completely overhauling the Calico Mine Train and Log Flume, adding a slew of animatronic figures. 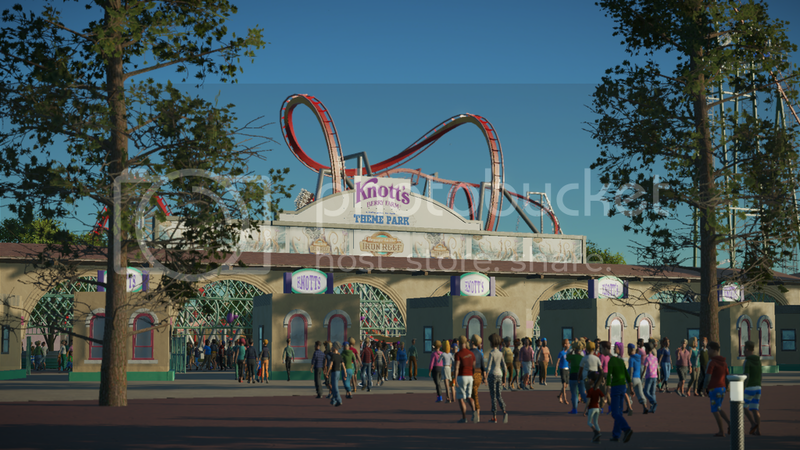 Knott's Berry Farm will be strongly featured in my Turnstile Tribune section of the forums. As for your question about the train...Yes, it's still there, taking guests around the perimeter of the park. I think it still gets robbed, but I haven't ridden it in a while, so I'm not sure. Maybe brothalee knows the answer to that. The last couple pics look great, brothalee. Keep 'em coming. My only comment is that the sweeping turn after the first corkscrew is a little too tight. 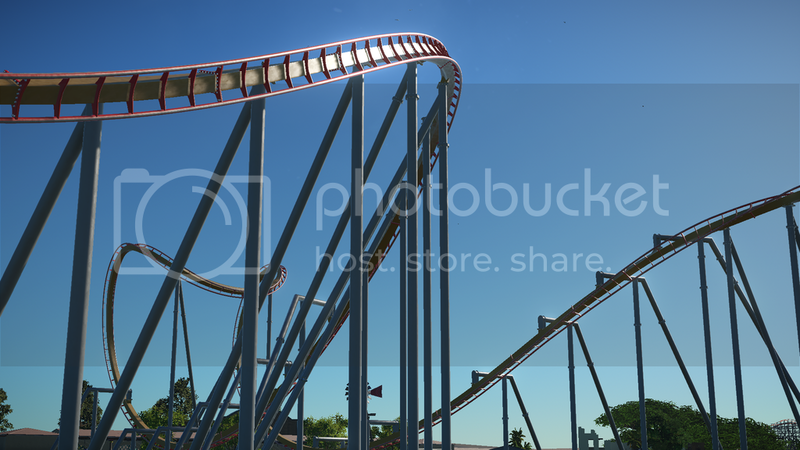 I've ridden Silver Bullet countless times, and this POV came pretty dang close to actually being on it! Keep it up! Very good work on layouts, I know how hard it is to get something acceptable in PC and yours really stick to reality and still stay relatively smooth. Hard to judge for the rest, a lot remains to be done, but you seem to know KBF well, so I trust you! This project looks realistic! Sometimes I find myself doing multiple takes to see if this is Planet Coaster or real life! Well done!